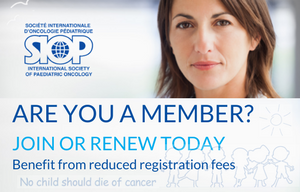 SIOP is calling upon its members in order to contribute to the mission of the Society and its collaborative work in paediatric oncology education, research and advocacy around the world by nominating themselves or another member for election as SIOP Treasurer Elect. Candidates are proposed by a Nominating Committee, which will receive suggestions from any member of the Society. You will need to make sure that the proposed candidate is willing to accept the nomination. Result announcement: At the Annual Business Meeting during the 51st Annual Meeting in Lyon, France and by email. *Nomination Committee comprises of the current Board of Directors. Click here or on the submission link below and submit your nomination directly online. 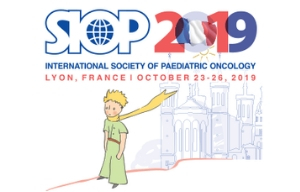 The term of office as Treasurer Elect will start at the SIOP 2019 Annual Meeting in Lyon (France) and he/she will continue as Treasurer as of the 2020 Ottawa meeting.